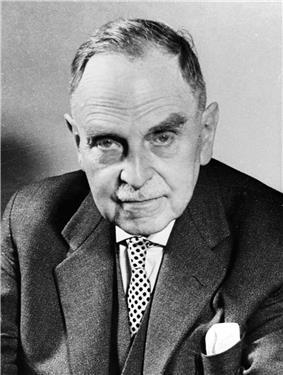 Otto Hahn, OBE, ForMemRS  (8 March 1879 – 28 July 1968) was a German chemist and pioneer in the fields of radioactivity and radiochemistry  who won the Nobel Prize in Chemistry in 1944 for the discovery of nuclear fission. He is regarded as one of the most significant chemists of all time and especially as "the father of nuclear chemistry". 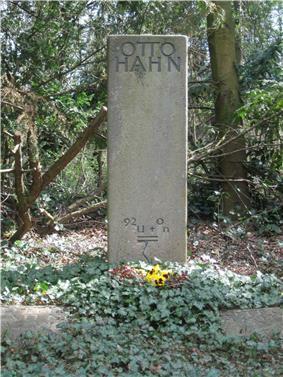 Hahn was an opponent of Jewish persecution by the Nazi Party and after World War II  he became a passionate campaigner against the use of nuclear energy as a weapon. He served as the last President of the Kaiser Wilhelm Society (KWG) in 1946 and as the founding President of the Max Planck Society (MPG) from 1948 to 1960. Considered by many to be a model for scholarly excellence and personal integrity, he became one of the most influential and revered citizens of the new Federal Republic of Germany. Hahn was the youngest son of Heinrich Hahn (1845–1922), a prosperous glazier and entrepreneur ("Glasbau Hahn"), and Charlotte Hahn, née Giese (1845–1905). Together with his brothers Karl, Heiner and Julius, Otto was raised in a sheltered environment. At the age of 15, he began to take a special interest in chemistry and carried out simple experiments in the laundry room of the family home. His father wanted Otto to study architecture, as he had built or acquired several residential and business properties, but Otto persuaded him that his ambition was to become an industrial chemist. In 1897, after taking his Geheimrat Professor Theodor Zincke. Hahn's intention had been to work in industry. With this in mind, and also to improve his knowledge of English, he took up a post at University College London in 1904, working under Sir William Ramsay, known for having discovered the inert gases. Here Hahn worked on radiochemistry, at that time a very new field. In 1905, in the course of his work with salts of radium, Hahn discovered a substance he called radiothorium (thorium-228), which at that time was believed to be a new radioactive element. (In fact, it was a still undiscovered isotope of the known element thorium. The term isotope was only coined in 1913, by the British chemist Frederick Soddy). From September 1905 until mid-1906, Hahn worked under Ernest Rutherford at McGill University in Montreal, Canada where he discovered thorium C (later identified as polonium-212), radium D (later identified as lead-210) and radioactinium (later identified as thorium-227) and investigated the alpha rays of radiothorium. In 1906, Hahn returned to Germany, where he collaborated with Emil Fischer at the University of Berlin. Fischer placed at his disposal a former woodworking shop ("Holzwerkstatt") in the Chemical Institute to use as his own laboratory. There, in the space of a few months, using extremely primitive apparatus, Hahn discovered mesothorium I, mesothorium II and – independently from Bertram Boltwood – the mother substance of radium, ionium (later identified as thorium-230). In subsequent years, mesothorium I (radium-228) assumed great importance because, like radium-226 (discovered by Pierre and Marie Curie), it was ideally suited for use in medical radiation treatment, while costing only half as much to manufacture. (In 1914, for the discovery of mesothorium I, Otto Hahn was first nominated for the Nobel Prize in Chemistry by Adolf von Baeyer). In June 1907, by means of the traditional habilitation thesis, Hahn qualified to teach at the University of Berlin. On 28 September 1907 he made the acquaintance of the Austrian physicist Lise Meitner who was almost the same age, who had transferred from Vienna to Berlin. So began the thirty-year collaboration and lifelong close friendship between the two scientists. After the physicist Harriet Brooks had observed a radioactive recoil in 1904, but interpreted it wrongly, Otto Hahn succeeded, in late 1908 and early 1909, in demonstrating the radioactive recoil incident to alpha particle emission and interpreting it correctly. as the physicist Walther Gerlach put it. 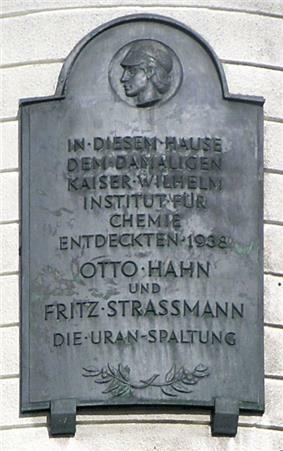 In 1910 Hahn was appointed professor, and in 1912 he became head of the Radioactivity Department of the newly founded Kaiser Wilhelm Institute for Chemistry in Berlin-Dahlem (today 'Hahn-Meitner-Building' of the Free University, Berlin, Thielallee 63). Succeeding Alfred Stock, Hahn was director of the institute from 1928 to 1946. In 1924, Hahn was elected to full membership of the Prussian Academy of Sciences in Berlin (proposed by Albert Einstein, Max Planck, Fritz Haber, Wilhelm Schlenk and Max von Laue). 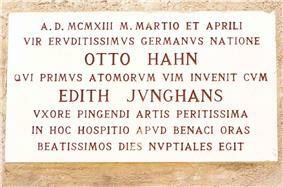 Marble plaque in Latin, commemorating the honeymoon of Otto Hahn and his wife Edith at Punta San Vigilio, Lake Garda, Italy, in March and April 1913. In June 1911, while attending a conference in Stettin (today Szczecin, Poland) Otto Hahn met the young Edith Junghans (1887–1968), an art student at the "Königliche Kunstschule" (Royal Academy of Art) in Berlin. On 22 March 1913 the couple married in Edith's native city of Stettin, where her father, Paul Ferdinand Junghans, was a high-ranking law officer and President of the City Parliament until his 1915 death. Their only child, Hanno, born in 1922, became a distinguished art historian and architectural researcher (at the Hertziana in Rome), known for his discoveries in the early Cistercian architecture of the 12th century. In August 1960, while on a study trip in France, Dr Hanno Hahn was involved in a fatal car accident, together with his wife and assistant Ilse Hahn, née Pletz. They left a fourteen-year-old son, Dietrich. In 1990, the Hanno and Ilse Hahn Prize for outstanding contributions to Italian art history was established in memory of Hanno and Ilse Hahn to support young and talented art historians. It is awarded biennially by the Bibliotheca Hertziana – Max Planck Institute of Art History in Rome. During the First World War, Hahn was conscripted into the army, where he was assigned, together with James Franck and Gustav Hertz, to the special unit for chemical warfare under the direction of Fritz Haber. The unit developed, tested and produced poison gas for military purposes, and was sent to both the western and eastern front lines. In December 1916, Hahn was transferred to the "Headquarters of His Majesty" in Berlin, and was able to resume his radiochemical research in his institute. 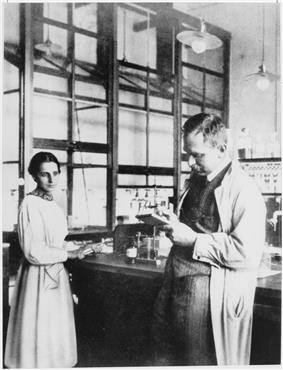 In 1917/18 Hahn and Lise Meitner isolated a long-lived activity, which they named "proto-actinium". Already in 1913, Kazimierz Fajans and Göhring had isolated a short-lived activity from uranium X2 (later known as 234mPa) and called the substance "brevium". The two activities were different isotopes of the same undiscovered element no. 91. In 1949, the International Union of Pure and Applied Chemistry (IUPAC) named this new element protactinium and confirmed Hahn and Meitner as discoverers. In February 1921, Otto Hahn published the first report on his discovery of uranium Z (later known as 234Pa ), the first example of nuclear isomerism. as Walther Gerlach remarked. And, indeed, it was not until 1936 that the young physicist Carl Friedrich von Weizsäcker succeeded in providing a theoretical explanation of the phenomenon of nuclear isomerism. For this discovery, whose full significance was recognized by very few, Hahn was again proposed, in 1923, for the Nobel Prize in Chemistry, this time by Max Planck, among others. In the early 1920s, Otto Hahn created a new field of work. Using the "emanation method", which he had recently developed, and the "emanation ability", he founded what became known as "Applied radiochemistry" for the researching of general chemical and physical-chemical questions. In 1936 he published a book in English (and later in Russian) entitled Applied Radiochemistry, which contained the lectures given by Hahn when he was a visiting professor at Cornell University in Ithaca, New York in 1933. This important publication had a major influence on almost all nuclear chemists and physicists in the United States, the United Kingdom, France and the Soviet Union during the 1930s and 1940s. "As a young graduate student at the University of California at Berkeley in the mid-1930s and in connection with our work with plutonium a few years later, I used his book "Applied Radiochemistry" as my bible. This book was based on a series of lectures which Professor Hahn had given at Cornell in 1933; it set forth the "laws" for the co-precipitation of minute quantities of radioactive materials when insoluble substances were precipitated from aqueous solutions. I recall reading and rereading every word in these laws of co-precipitation many times, attempting to derive every possible bit of guidance for our work, and perhaps in my zealousness reading into them more than the master himself had intended. I doubt that I have read sections in any other book more carefully or more frequently than those in Hahn's "Applied Radiochemistry". In fact, I read the entire volume repeatedly and I recall that my chief disappointment with it was its length. It was too short." "It has been given to very few men to make contributions to science and to humanity of the magnitude of those made by Otto Hahn. He has made those contributions over a span of nearly two generations, beginning with a key role in the earliest days of radiochemistry in investigating and unraveling the complexities of the natural radioactivities und culminating with his tremendous discovery of the nuclear fission of uranium. I believe that it is fair to refer to Otto Hahn as the father of radiochemistry and of its more recent offspring nuclear chemistry. For his special genius the world of science will be forever grateful." "It is conceivable that when heavy nuclei are bombarded with neutrons these nuclei could break down into several fairly large fragments, which are certainly isotopes of known elements, but not neighbors of the irradiated elements." But no physicist or chemist really took Noddack's speculation seriously or tested it, not even Ida Noddack herself. The idea that heavy atomic nuclei could break down into lighter elements was regarded as totally inadmissible. Between 1934 and 1938, Hahn, Meitner, and Strassmann found a great number of radioactive transmutation products, all of which they regarded as transuranic. At that time the existence of actinides was not yet established, and uranium was wrongly believed to be a group 6 element similar to tungsten. It followed that first transuranic elements would be similar to group 7 to 10 elements, i.e. rhenium and platinoids. The Hahn group was indeed able to establish the presence of multiple isotopes of at least four such elements and (mistakenly) identify them as elements with atomic numbers 93 through 96. They were the first scientists to measure the half-life of 239U and to establish chemically that it was an isotope of uranium, but they were unable to continue this work to its logical conclusion and to identify the decay product of 239U – namely, neptunium (the real element 93); this task was only completed by Edwin McMillan and Philip H. Abelson in 1940. On 13 July 1938, with the help and support of Hahn, Lise Meitner – born into a Jewish family – escaped to the Netherlands; before she left, Hahn gave her a diamond ring he had inherited from his mother, to be used to bribe the frontier guards if required. Meitner emigrated to Stockholm, and Hahn continued to work with Strassmann. 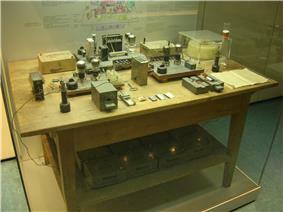 In late 1938 they found evidence of isotopes of an alkaline earth metal in their sample. The metal was detected by the use of an organic barium salt constructed by Wilhelm Traube. Finding a group 2 alkaline earth metal was problematic, because it did not logically fit with the other elements found thus far. 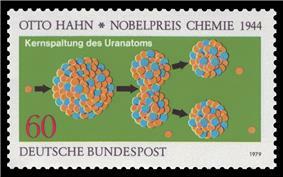 Hahn initially suspected it to be radium, produced by splitting off two alpha-particles from the uranium nucleus. At the time, the scientific consensus was that even splitting off two alpha particles via this process was unlikely. The idea of turning uranium into barium (by removing around 100 nucleons) was seen as preposterous. On 10 November during a visit to Copenhagen, Hahn discussed these results with Niels Bohr and Lise Meitner. Further refinements of the technique, leading to the decisive experiment on 16–17 December 1938 (the celebrated "radium-barium-mesothorium-fractionation"), produced puzzling results: the three isotopes consistently behaved not as radium, but as barium. Hahn, who did not inform the physicists in his Institute, described the results exclusively in a letter to Meitner on 19 December: "...we are more and more coming to the awful conclusion that our Ra isotopes behave not like Ra, but like Ba. ... Perhaps you can suggest some fantastic explanation. We ourselves realize that it can't really burst into Ba." In her reply, Meitner concurred that Hahn's conclusion of the bursting of the uranium nucleus was very difficult to accept, but considered it possible. On 22 December 1938, Hahn sent a manuscript to Naturwissenschaften reporting their radiochemical results. On 27 December, Hahn telephoned the editor of Naturwissenschaften and requested to add a paragraph to the article, speculating that some platinum group elements previously observed in irradiated uranium, which were originally interpreted as transuranium elements, could in fact be technetium (then called "masurium") and lower platinum group metals (atomic numbers 43 through 46). By January 1939 he was sufficiently convinced that formation of light elements was occurring in his setup that he published a new revision of the article, essentially retracting former claims of observing transuranic elements and neighbors of uranium, and concluding instead that he was seeing light platinoids, barium, lanthanum, and cerium. As a chemist, Hahn was reluctant to propose a revolutionary discovery in physics. Lise Meitner and her nephew, the young physicist Otto Robert Frisch, in Sweden, came to the same conclusion and were able to work out the basic mathematics of nuclear fission – the term that was coined by Frisch, and which subsequently became internationally known. Over the next few months, Frisch and Meitner published two articles discussing and experimentally confirming this hypothesis. In their second publication on nuclear fission (Die Naturwissenschaften, 10 February 1939) Otto Hahn and Fritz Strassmann used for the first time the name Uranspaltung (uranium fission) and predicted the existence and liberation of additional neutrons during the fission process, which was proved to be a chain reaction by Frédéric Joliot and his team in March 1939. During the war, Otto Hahn – together with his assistants Hans-Joachim Born, Siegfried Flügge, Hans Götte, Walter Seelmann-Eggebert and Fritz Strassmann – worked on uranium fission reactions. 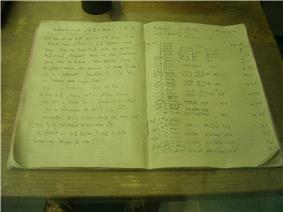 By 1945 he had drawn up a list of 25 elements and about 100 isotopes whose existence he had demonstrated. At the end of World War II in 1945 Hahn was suspected of working on the German nuclear energy project to develop an atomic reactor or an atomic bomb, but his only connection was the discovery of fission; he did not work on the program. In April 1945, Hahn and nine leading German physicists (including Max von Laue, Werner Heisenberg and Carl Friedrich von Weizsäcker) were taken into custody by the Alsos Mission (see Operation Epsilon) and interned at Farm Hall, Godmanchester, near Cambridge, England, from 3 July 1945 to 3 January 1946. While they were there, the German scientists learned of the dropping of the American atom bombs on Hiroshima and Nagasaki on 6 and 9 August 1945. Hahn was on the brink of despair, as he felt that because he had discovered nuclear fission he shared responsibility for the death and suffering of tens of thousands of innocent Japanese people. Early in January 1946, the group was allowed to return to Germany. On 15 November 1945 the Royal Swedish Academy of Sciences announced that Hahn had been awarded the 1944 Nobel Prize in Chemistry "for his discovery of the fission of heavy atomic nuclei." Some US-American historians have documented their view of the discovery of nuclear fission and believe Meitner should have been awarded the Nobel Prize with Hahn. Hahn was still being detained at Farm Hall when the announcement was made; thus, his whereabouts were a secret and it was impossible for the Nobel committee to send him a congratulatory telegram. Instead, he learned about his award through the Daily Telegraph newspaper. His fellow interned German scientists celebrated his award on 18 November by giving speeches, making jokes, and composing songs. On 4 December, Hahn was persuaded by two of his captors to write a letter to the Nobel committee accepting the prize but also stating that he would not be able to attend the award ceremony. He could not participate in the Nobel festivities on 10 December since his captors would not allow him to leave Farm Hall. "Surely Hahn fully deserved the Nobel Prize in chemistry. There is really no doubt about it. But I believe that Otto Robert Frisch and I contributed something not insignificant to the clarification of the process of uranium fission – how it originates and that it produces so much energy, and that was something very remote from Hahn. For this reason I find it a bit unjust that in newspapers I was called a Mitarbeiterin [co-worker] of Hahn's in the same sense that Strassman was." Immediately after the Second World War, Hahn reacted to the dropping of the atomic bombs on Hiroshima and Nagasaki by coming out strongly against the use of nuclear energy for military purposes. He saw the application of his scientific discoveries to such ends as a misuse, or even a crime. Consequently, among other things, he initiated the Mainau Declaration of 1955, in which he and a number of international Nobel Prize-winners called attention to the dangers of atomic weapons and warned the nations of the world urgently against the use of "force as a final resort". In 1956 Hahn repeated his appeal with the signature of 52 of his Nobel colleagues from all parts of the world. He was also instrumental and one of the authors of the Göttingen Manifesto of 1957, in which, together with 17 leading German atomic scientists, he protested against a proposed nuclear arming of the new West German armed forces (Bundeswehr). In January 1958, Otto Hahn, together with his friend Albert Schweitzer signed the Pauling Appeal to the United Nations in New York for the "immediate conclusion of an international agreement to stop the testing of nuclear weapons", and in October, together with Clement Attlee, Edgar Faure, Tetsu Katayama et al. he signed the international Agreement to call a meeting to draw up a world constitution. Right up to his death, he never tired of warning urgently of the dangers of the nuclear arms race between the great powers and of the radioactive contamination of the planet. Received numerous honorary degrees and was elected member or honorary member of 45 Academies and scientific societies (among them the University of Cambridge, the Physical Society, the University College and the Royal Society in London, the CSIC in Madrid and the Academies in Allahabad (India), Bangalore (India), Berlin, Boston (USA), Bucharest, Copenhagen, Göttingen, Halle, Helsinki, Lisbon, Madrid, Mainz, Munich, Rome, Stockholm, Vatican, Vienna). Received 37 of the highest national and international orders and medals, among them the Gold Medals Emil Fischer, Cannizzaro, Copernicus, Henri Becquerel, Paracelsus, Fritz Haber, Marie Curie, Cothenius, Senckenberg, Heraeus and Hugo Grotius, the Max Planck medal, the Faraday Lectureship Prize with Medal from the Royal Society of Chemistry in London, the Harnack medal in Gold from the Max Planck Society and the Gold Medal of the Pontifical Academy of Sciences from Pope John XXIII in the Vatican. In 1957 Hahn was elected an honorary citizen of the city of Magdeburg, DDR (German Democratic Republic), and in 1958 an honorary member of the Academy of Sciences of the USSR (today Russian Academy of Sciences) in Moscow, but he declined both honors. In 1966, President Lyndon B. Johnson of the USA, and the United States Atomic Energy Commission (AEC) in Washington awarded Hahn (together with Lise Meitner and Fritz Strassmann) the Enrico Fermi Award. Hahn, since 1960 honorary president of the MPG, was made an honorary citizen of the cities of Frankfurt am Main and Göttingen in 1959, and of the land and the city of Berlin in 1968. Hahn remained modest and informal all his life. His disarming frankness, unfailing kindness, good common sense and impish humour will be remembered by his many friends all over the world. Hahn's death did not stop his public acclamation. Proposals were made at different times, first in 1971 by American chemists, that the newly synthesized element no. 105 should be named hahnium in Hahn's honor; in 1997 the IUPAC (International Union of Pure and Applied Chemistry) named it dubnium, after the Russian research center in Dubna (see element naming controversy). Although element 108 was given the name hassium by its officially-recognized German discoverers in 1992, a 1994 IUPAC committee recommended that it be named hahnium (Hn), in spite of the long-standing convention to give the discoverer the right to suggest a name. This recommendation was not adopted, following protests from the German discoverers, and the name hassium (Hs) was adopted internationally in 1997. In 1964 the only European nuclear-powered civilian ship, the freighter NS Otto Hahn, was named in his honor. In 1959 there were the opening ceremonies of the Otto Hahn Institute in Mainz and the Hahn-Meitner-Institut for Nuclear Research (HMI) in Berlin. There are craters on Mars and the Moon, and the asteroids No. 3676 Hahn and No. 19126 Ottohahn named in his honor, as were the Otto Hahn Prize of both the German Chemical and Physical Societies and the city of Frankfurt/Main, the Otto Hahn Medal and the Otto Hahn Award of the Max Planck Society and, since 1988, the Otto Hahn Peace Medal in Gold of the United Nations Association of Germany (DGVN) in Berlin. 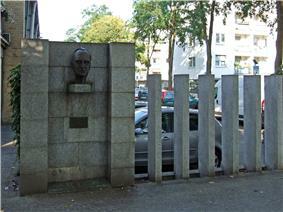 Many cities and districts in the German-speaking countries have named secondary schools after him, and streets, squares and bridges throughout Europe bear his name. 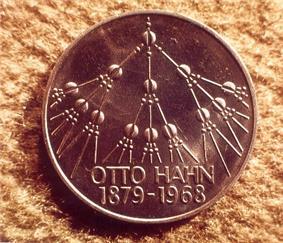 More than twenty states worldwide have honored Otto Hahn by issuing coins, medals or stamps with his portrait. An island in the Antarctic (near Mt. Discovery) was also named after him, as were two Intercity trains Otto Hahn of the German Federal Railways in 1971, running between Hamburg and Basel SBB, and the Otto Hahn Library in Göttingen. In 1974, in appreciation of the special contribution of Otto Hahn to German-Israeli relations, a wing of the Weizmann Institute of Science in Rehovot, Israel, was given his name, and a scientific research center of the Saint Louis University (Baguio) (Philippines) was named the Otto Hahn Building. 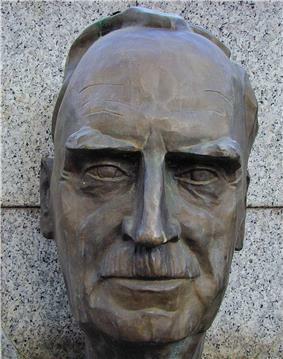 In several cities and districts Otto Hahn busts, monuments and memorial plaques were unveiled, including in Vienna in the foyer of the International Atomic Energy Agency (IAEA). 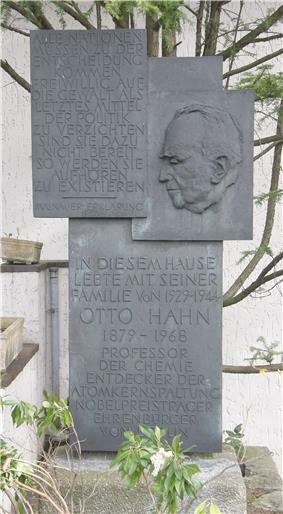 There are public Otto Hahn Centers in Göttingen and Ottobrunn (near Munich), and planned in the next future also in Hahn's native city Frankfurt/Main, while in 2011 the city of Albstadt created an Otto Hahn Memorial place in her local IHK-Academy, focussed on Hahn's work in Tailfingen at the end of World War II. In early 2014, the University of Dortmund opened two new Otto Hahn Libraries in her General University Library, which are specialized in the natural sciences and technologies. At the end of 1999 the German news magazine Focus published an inquiry of 500 leading natural scientists, engineers and physicians about the most important scientists of the 20th century. In this poll the experimental chemist Otto Hahn – after the theoretical physicists Albert Einstein and Max Planck – was elected third (with 81 points) and thus the most significant empiric researcher of his time. 1966. A Scientific Autobiography. Introduction by James Chadwick. Translated by Ernst Kaiser and Eithne Wilkins. Macdonald & Co., London. American edition: Herder and Herder, New York 1970. ^ a b Spence, R. (1970). 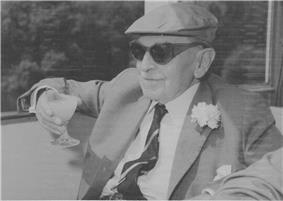 "Otto Hahn. 1879-1968". ^ "Otto Hahn". FamousScientists.org. Retrieved 15 December 2011. 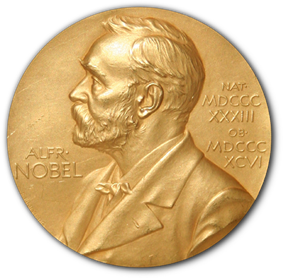 ^ a b "The Nobel Prize in Chemistry 1944". ^ Seaborg, Glenn T. (1966) Intoduction to Otto Hahn – A Scientific Autobiography. Charles Scribner's sons, New York. ^ a b c d e f g h Lise Meitner – Recollections of Otto Hahn. Edited by Dietrich Hahn. Verlag S. Hirzel, Stuttgart 2005. ^ a b Gerlach, Walther/Dietrich Hahn: Otto Hahn – Ein Forscherleben unserer Zeit. Wissenschaftliche Verlagsgesellschaft WVG, Stuttgart 1984. ^ Hahn, O. (1921). "Über ein neues radioaktives Zerfallsprodukt im Uran". Die Naturwissenschaften 9 (5): 84–84. ^ a b Hahn, O. (1958). "The Discovery of Fission". Scientific American 198 (2): 76. ^ a b Sime, R. L. (1990). "Lise Meitner's escape from Germany". American Journal of Physics 58 (3): 262. ^ Rife, Patricia (1999). Lise Meitner and the dawn of the nuclear age. Basel, Switzerland: Birkhäuser. ^ Bernstein, Jeremy (2001). Hitler's uranium club: the secret recordings at Farm Hall. New York: Copernicus. p. =281. ^ Ruth Lewin Sime From Exceptional Prominence to Prominent Exception: Lise Meitner at the Kaiser Wilhelm Institute for Chemistry Ergebnisse 24 Forschungsprogramm Geschichte der Kaiser-Wilhelm-Gesellschaft im Nationalsozialismus (2005). ^ Sime, Ruth Lewin (1996). Lise Meitner: a life in physics. Berkeley: University of California Press. ^ Crawford, E.; Sime, R. L.; Walker, M. (1997). "A Nobel Tale of Postwar Injustice". Physics Today 50 (9): 26. ^ Bernstein, Jeremy (2001). Hitler's uranium club: the secret recordings at Farm Hall. New York: Copernicus. pp. 283, 323. ^ Bernstein, Jeremy (2001). Hitler's uranium club: the secret recordings at Farm Hall. New York: Copernicus. pp. 286, 323–235. ^ Bernstein, Jeremy (2001). Hitler's uranium club: the secret recordings at Farm Hall. New York: Copernicus. pp. 311, 325. ^ Frisch, Otto R. (1968). "Otto Hahn". Physics Bulletin 19: 354. Berninger, Ernst H. (1970). 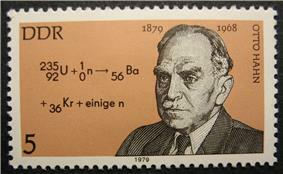 Otto Hahn 1879–1968. (English ed.). Bonn: Inter Nationes. Klaus Hoffmann, 2001. Otto Hahn – Achievement and Responsibility. Springer, New York-Berlin-Barcelona-Hong Kong-London-Milan-Paris-Singapore-Tokyo. Otto Hahn: In the bann of nuclear fission CÓNDOR, Periódico Chileno-Aleman, 20 December 2013. Author: Petra Wilken, Santiago.